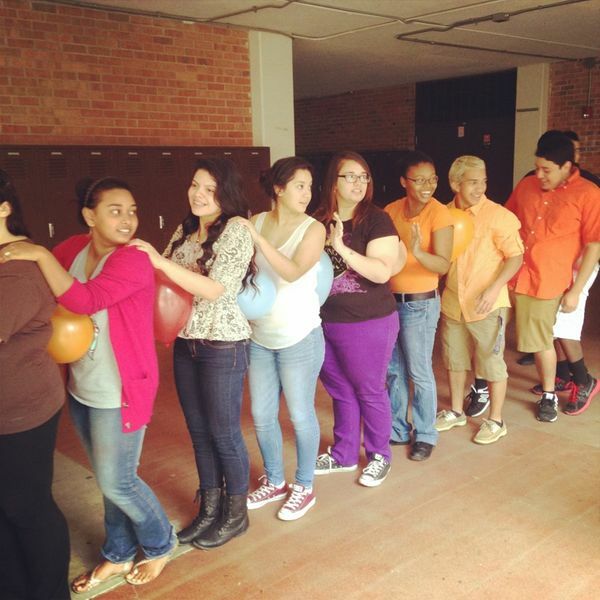 I found the PALS class out on the Red Walk today working on their team-building and leadership skills through an activity called "The Balloon Train" (actually I just made that name up, but let's go with it). No hands allowed. The balloons must not fall. Students had to build an efficient and effective communication plan for when the going got tough, otherwise they had to start all over.